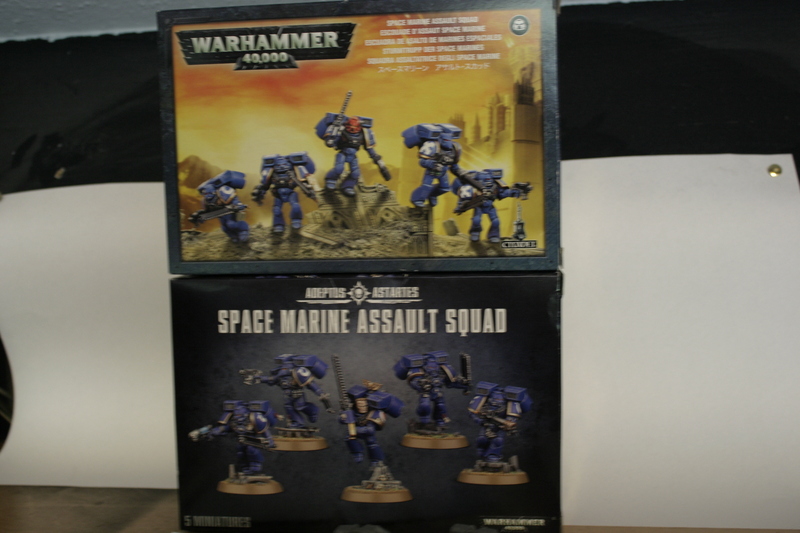 well, I decided it was time to make a new Plog, my Imperial guard one was was so ancient and covered in Dust, and I have so many projects running that this will save some space probably. 1 Leman Russ Battle tank. everything in the to be added lists, that is green has been purchased. 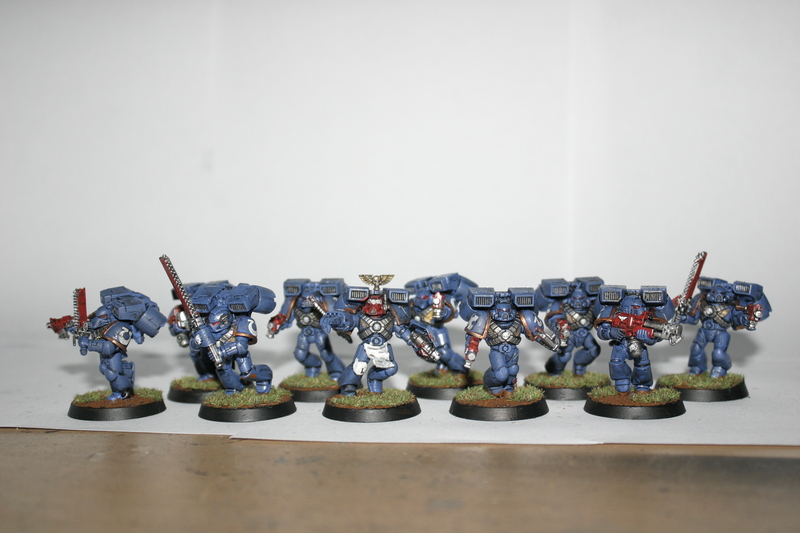 10 man Ultramarine assault squad. 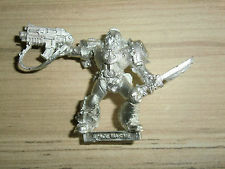 Astra Militarum Leman Russ exterminator. 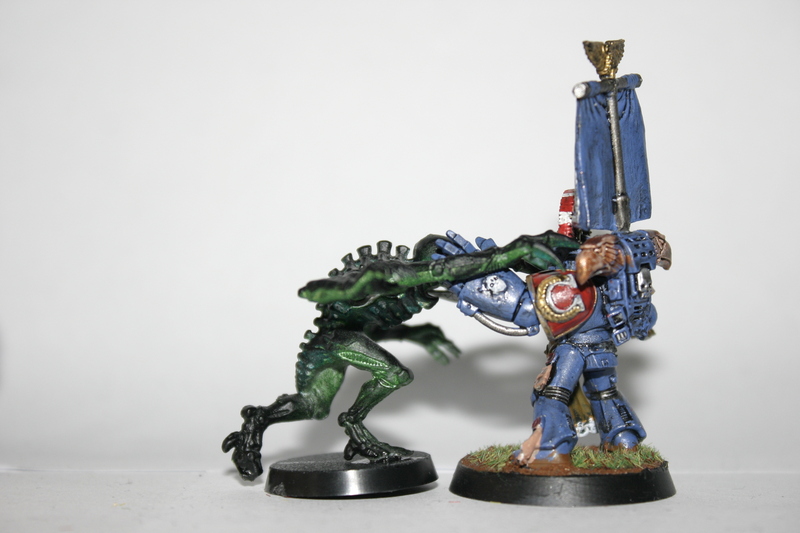 everything in the painting list that is green has been painted. Last edited by Haskanael; 01-04-16 at 01:25 PM. 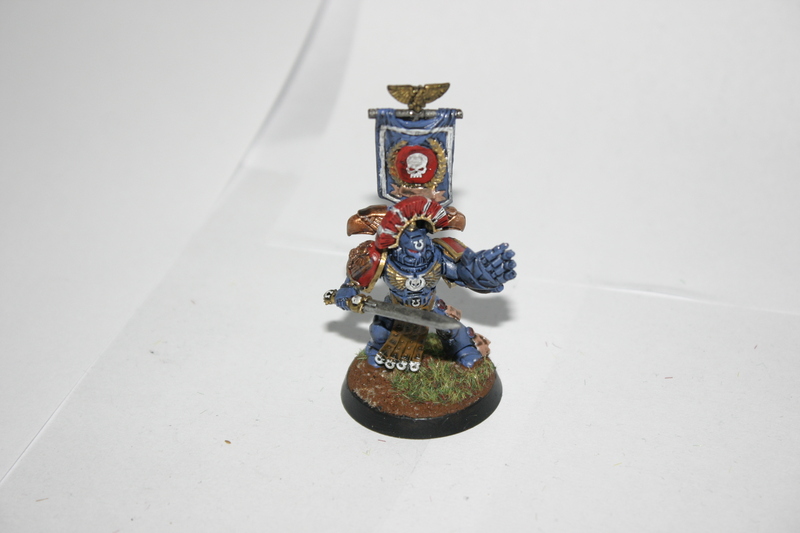 Origional model is a Tyrannic war veteran. 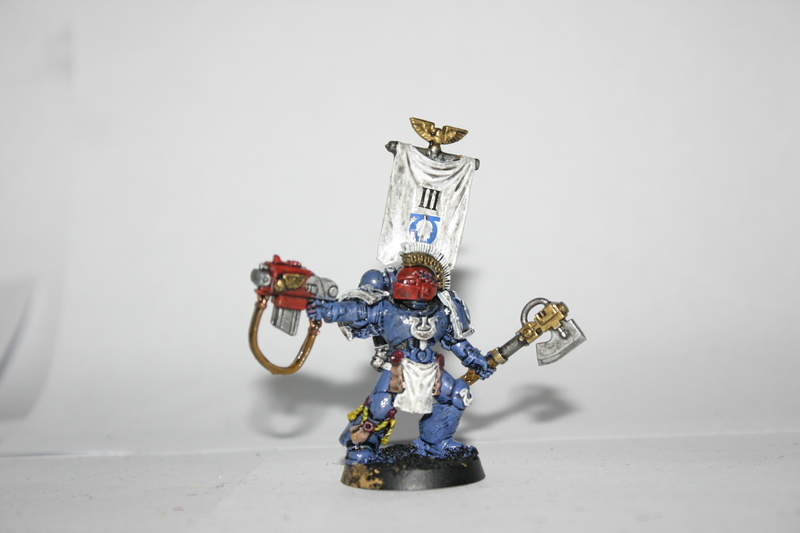 I used the head from the Ultramarines upgrade sprue, the stormbolter comes from the space marine commander kit, and the axe is from the new Assault marines, I forgot where I got the banner from. 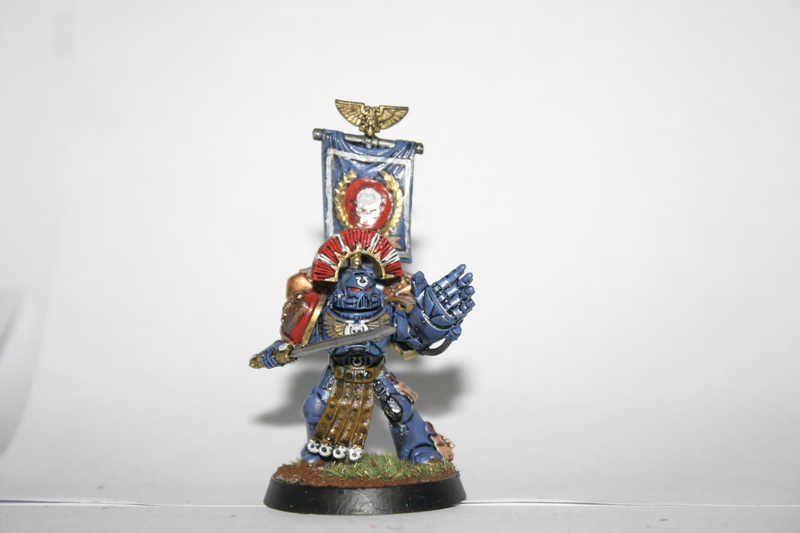 the Ultramarine Captain, my itteration of Mikael Fabian. 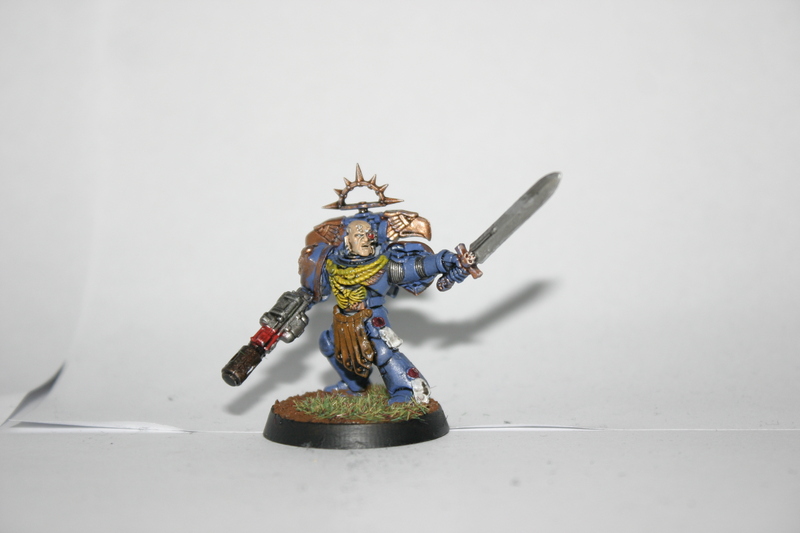 Master of the Arsenal and captain of the 3rd Company. 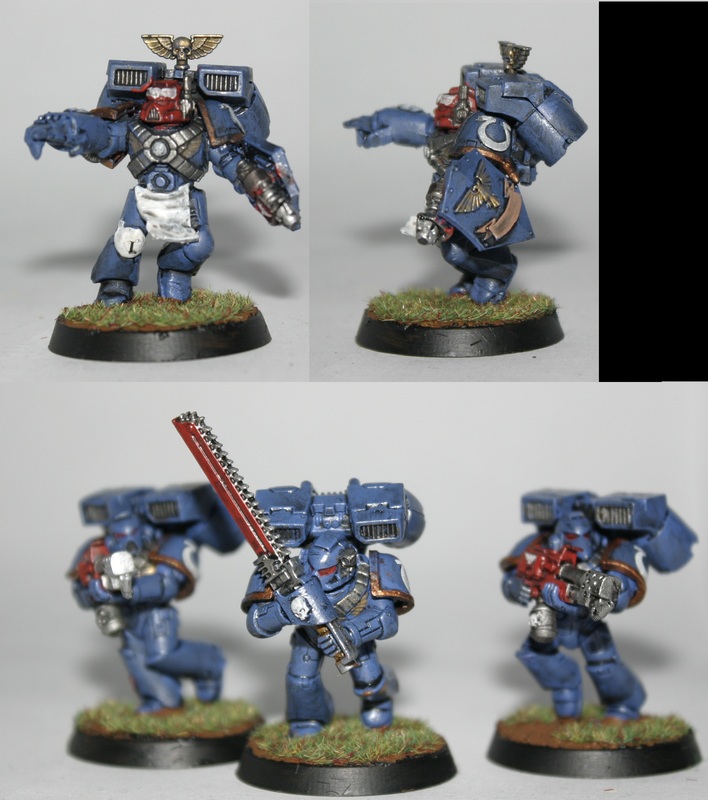 then the Ultramarine upgrade sprue came out and I turned that into this. 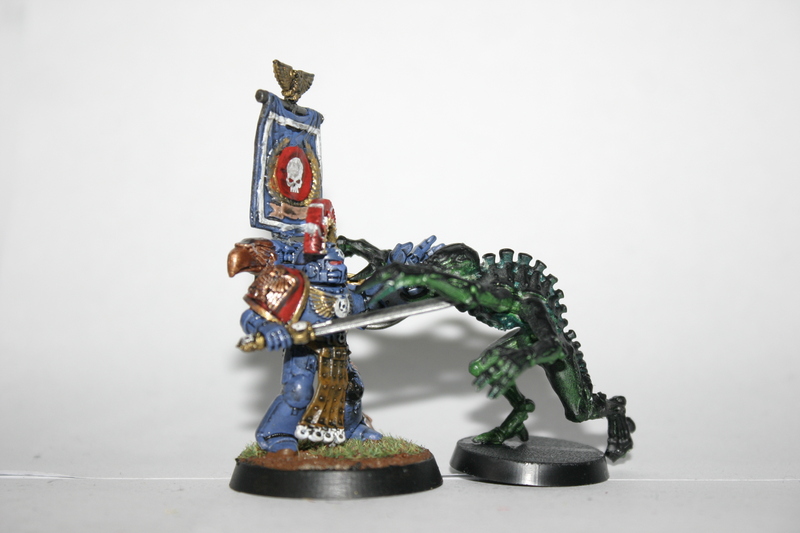 the reason for the pose is pretty much this. the head, the torso armour, the sword and the right shoulder guard. 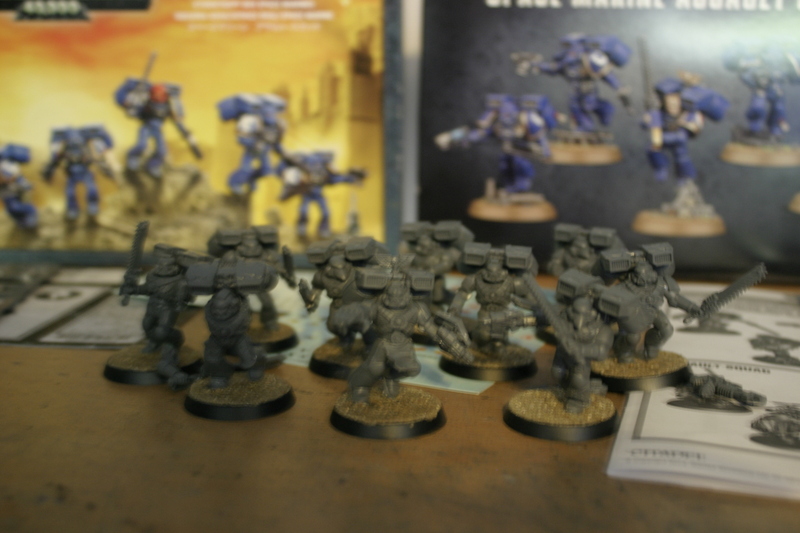 come from the Ultramarine upgrade sprue. 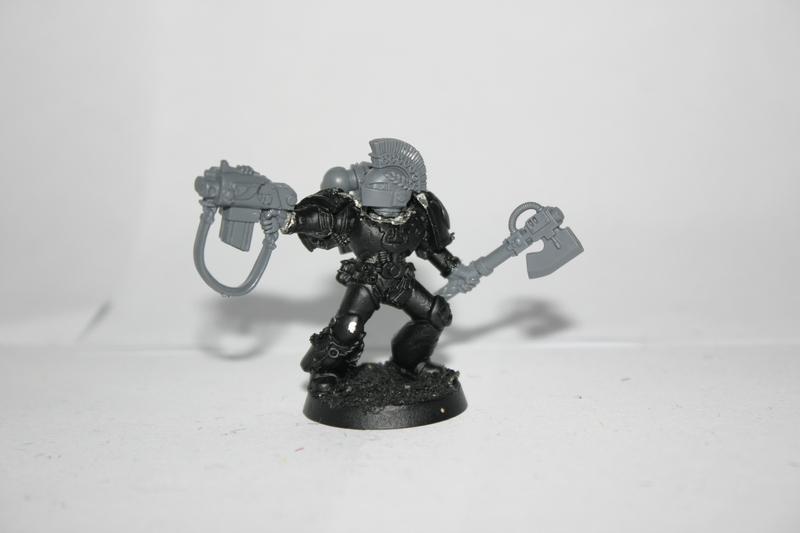 the power fist came from the new assault marine kit. 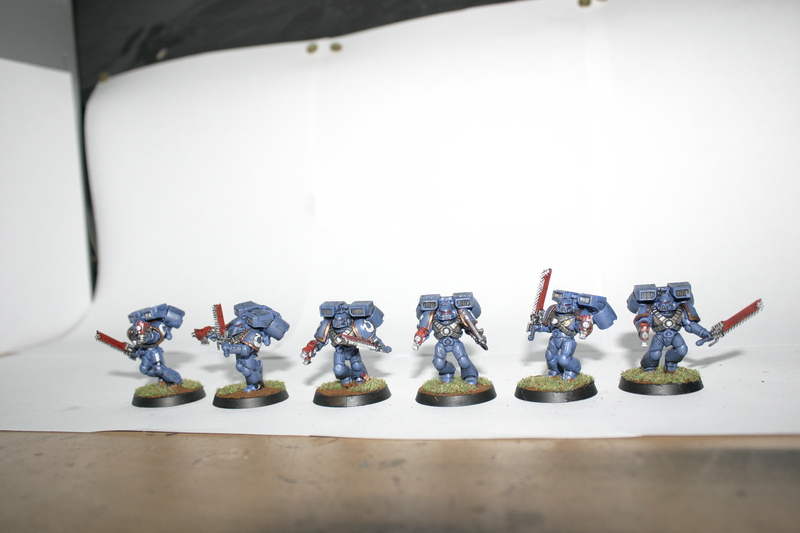 I also noticed that you do not need a codex anymore to make play legal units with the new plastic kits. welp Assaul squad all done. Thanks. encouragement is always welcome! 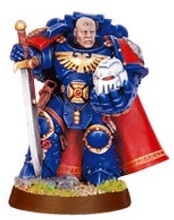 hoping to get around to the Imperial guard Veterans tomorrow. Well, it's a start! Those are a lot of models to do!